There’s really no doubt about how much us crocheters and crafters love our yarn! However, we do seem to have drastically different methods when it comes to storing it! Here are 7 ways to organize your stash. Ever get that feeling that you should look into that one drawer/cupboard/room that you always throw your yarn into? The cave storing system is definitely a common one for crocheters. Even though it’s not the prettiest, at least you’re sure your yarn is safe and sound (somewhere)! Small. Simple. And a great conversation starter! You might not go large with your stash, but your yarn collection certainly gets people talking! Perfect for crocheters who prefer to crochet-as-you-go, storing just enough for your next project means you are never inundated with unnecessary balls! And as your yarn doesn’t take up too much space (and looks oh so pretty! ), you can easily display in your bedroom or living space as a decorative feature! This one is a bit like the cave, except it’s out in the open – and your stash mostly consists of leftover scraps from earlier projects! You always promise yourself to use them one day, but then another awesome pattern comes along and nothing from your stash is enough or the right shade. And so the circle begins again. New yarn, new project! You might be one of those rare knitters who prefer not to stash at all! 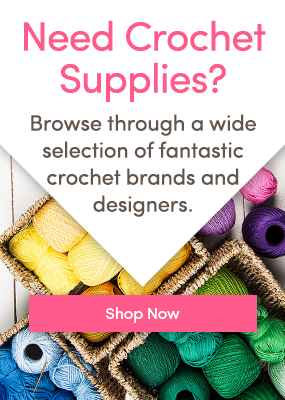 Equipped with resourcefulness and excellent planning skills, your nimble crochet abilities means you’ve always got the perfect amount of yarn for your current project. And if there ever should be small amounts left over, you immediately start a scrap blanket, which is both efficient and pretty! 3 Responses to 7 Ways You can Organize Your Stash! It gives me joy and feeds my creativity. I crochet every day so it is in use constantly. Most of the yarn is only online available to me so it is a necessity to have enough available and of course in many different shades. Crocheters and Knitters can not mix theire own colours like painters do so we rely on a wide range of different shades.